This is all swenson's fault! A little bit of path fixing and another adventure runs. Do we have Collosal Cave 770 point edition? XorA wrote: Do we have Collosal Cave 770 point edition? 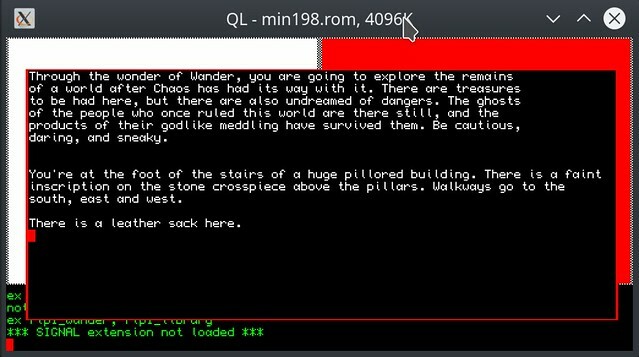 ToFro ported Colossal Cave to QL in 2014, but I don't know which edition and how it differes from this. 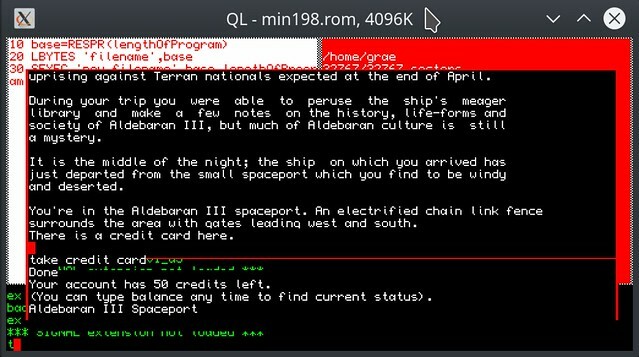 I believe Tofro converted the "original"
So, are you going to make a QDOS executable of it? Attached a floppy image (zipped) of it.